We start by looking at what drones are used for in specific sectors and include some terrific videos along the way. The drone industry is growing fast and every week we see press releases and research papers on what new areas drones are being used for. The usage of drones in some of these sectors was originally completed using helicopters and airplanes. However, these are expensive to hire and not always available when they were required. Using helicopters and airplanes is also very time consuming as they have to fly in from other locations and then do their work. Along with present uses for drones, we also look at new drone uses, which are still in the experimental and research stages. Without doubt, you will also see many hundreds of new uses for drones in the coming years. There are also some terrific videos throughout this post. Here is a quick list of what drones are being used for. You can see it basically covers almost every sector with more new uses coming on each week. If you follow the drone industry, you will read about so many new uses for drones every week. For many of the above uses, drones with regular RGB cameras work. 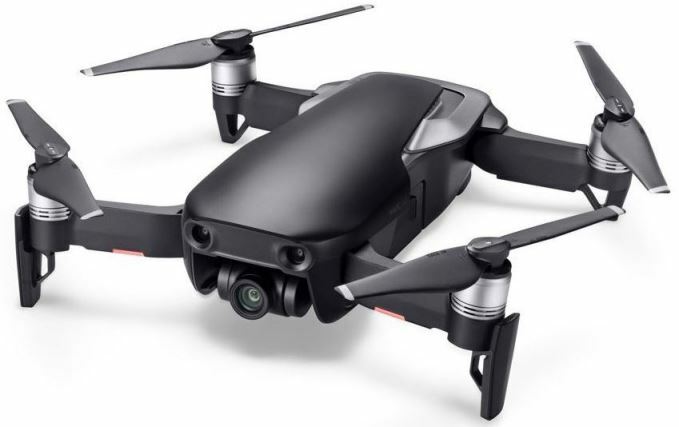 The latest is the DJI Mavic 2 Pro and Zoom. 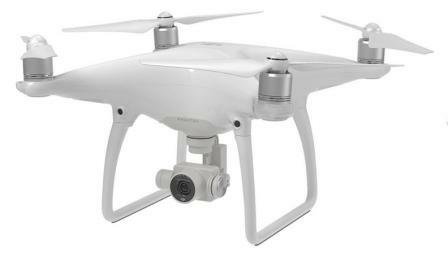 These have perfect flight stability and 4k cameras. The Mavic 2 can sense objects on all 6 sides and fly around obstacles in front and behind. Now, a few years ago, ordinary cameras were the only payload mounted onto drones. Not any more. Now, we have Thermal, Multispectral, Vision, ToF, LiDAR and Photogrammetry camera sensors being mounted onto drones, creating new uses for drones. These are creating new solutions across various sectors. For example, only recently we now have drones mounted with methane sensors. This will allow drones to fly over landfill dumps and monitor the levels of gas being emitted into the atmosphere. These methane sensor drones can also be used for inspecting gas pipelines and tank inspections. This new use for drones is helping to create a cleaner and safer environment. So many sectors are benefiting from the use of drones, whether they are commercial, conservation or environmental works. In many sectors such as mining and quarrying, they save time and more importantly, they are a safer way of surveying structures, buildings or quarry faces. There is no need to put workers into hazardous or dangerous areas anymore. There are hundreds of various types of sensors and transducers which can be mounted onto drones. New sensors are being developed all the time and there is huge research in making sensors smaller to fit onto drones. There are many types of transducers such as gravitational, mechanical, thermal, electromagnetic and chemical. These can be mounted individually or combined. Sometimes it is the combinations of sensors working together which will bring about many new uses for drones. One of the best books on sensors is called “Sensors, An Introductory Course“. It has excellent knowledge on the various types of sensors and their applications. The next few years are going to be groundbreaking for the drone sector with new solutions coming on the market to solve problems or bring efficiencies to various sectors. Rescue drones don’t have to be a huge cost. The Mavic 2 Enterprise comes with an extended port for mounting to mount a dual spotlight, loudspeaker or beacon making it perfect for inspections, search and rescue missions, fire response and more. Survey buildings to evaluate the size and heat of the fire. See if the fire is spreading to other buildings. Use Thermal cameras to see if there are persons in the building. Survey large areas of forest which are on fire to establish the size of the fire and planning. When fire is out, drones with thermal cameras survey the area and measure the heat of the fire area. Drone may in the future be actually used to put out fires. This has already be tested and may be an better option than using fire fire firefighters having to go up long ladders and put themselves in danger. A Latvian company called Aerones created the multirotar, which can fly up to 984 feet, compared to 100-foot-height that firefighter ladders can reach. The drone is fitted with a water hose from a fire truck and is controlled by a pilot on the ground remotely. It’s still in development, but Aerones hope to use the machine for real-life operations soon. Here is the fire fighting drone in a practice test. Drone today have GPS, the best stabilization and also 4k cameras. They film and photograph perfectly which is exactly what you need for marketing videos and brochures. Here is some of the best usage of drones in the marketing sector. Marketing and advertisement is so important for any business to grow. To be able to produce professional quality aerial film and still photos cost effectively is extremely important. Using a drone such as the DJI Inspire 1 will allow you create professional marketing material over and over. You don’t need to spend a fortune to produce absolute stunning videos or films. The drones in the past couple of years come with minimum 4k cameras and perfect flight stability. They are being used to create scenes in many movies and TV productions. DJI, Yuneec and Walkera to name a few are all producing top drones which output stunning quality film. Note: One of the best professional film making drones has to be the DJI Inspire 2. This was designed specifically for professional film making. The Inspire 2 image processing system CineCore 2.1, which records video up to 6K in CinemaDNG/RAW and 5.2k in Apple ProRes when used with the Zenmuse X7 camera. Below is an excellent short film which was created 100% by using the DJI Inspire 2 drone to film all of the aerial and ground shots. This is a vast area where drones are presently being used across many sectors. Drones are terrific for getting an overview and close ups of buildings and structures. Drones are also a safer method of inspecting tall structures. No need to send men up in a harness or scaffolding to inspect a roof, structure or building. Drones save loads of time as no there is no need to build scaffolding to survey a building or structure. More importantly using drones for many surveying work also saves employees from having to take on the responsibility of dangerous work. This is probably the biggest usage for commercial drones at present. Site surveying moves across many sectors such as construction, mining, rail, forestry and parks to mention a few. Note: The best drone on the market for this type of site, bridge, building, mast, telecoms antennae surveying is the soon to be released DJI Matrice 200. This quadcopter has camera options such as upward, downward or dual downward cameras. It also has dual batteries for longer flight times. It is designed to be easy to carry and have it flying very quickly. You can read more on the soon to be released DJI Matrice 200 here. One of the best new uses this year for drones was using a large drone to de-ice a wind turbine. The drone carries 4 pods which carries the de-icer. The drone is also fixed with a long power lead so it has power all the time and can stay in the air until the job is finished or the drones needs to refill the de-icer pods. It a very cost efficient way of clearing the wind turbine of ice. Here is the actual video of the de-icer drone in action. This area is constantly in the news. We’ve seen drones being used to deliver pizza and Amazon are always releasing information about their Prime Air Delivery Project. There are so many big Postal companies across Europe and Asia which are trialing drone parcel deliveries. In the USA, Walmart are also testing drone deliveries. With all these big names testing and pushing, drones being used to deliver parcels is more than likely going to happen across countryside and cities. Drones are already been used to deliver essential medical products right across Rwanda. The Zipline drone uses a small UAV to deliver blood products, vaccines and medicine. The medical worker can place an order by text message and within minutes the UAV is on it’s way. Flying at 100 kilometers per hour it goes straight to it’s destination and deliveries the essential supplies. The parcel has a small parachute which is deployed when the parcel is released with the medical supplies landing safely. On 2nd April 2018, it was announced that SF Express, China’s largest package carrier, was recently granted a license to use drones for package deliveries in the country by the Civil Aviation Administration of China (CAAC). This makes SF Express drone logistics license the first to be awarded in China. More than 40 billion parcels were shipped in mainland China last year (about 110 million packages a day) and volumes are expected to increase to 49 billion parcels this year, according to the State Post Bureau, China’s delivery-industry watchdog. Delivery firms have been eyeing the use of logistic drones to be used for parcel delivery since about 2015, when e-commerce giant Alibaba Group Holding partnered with Shanghai YTO Express Logistics in a one-time test – delivering packages of ginger tea by drone. New York-listed Alibaba owns the South China Morning Post. There are perhaps thousands of statues, monuments and structures, which don’t have an accurate 3D Image. For example, in 2015, Pix4D, together with Canadian drone manufacturer Aeryon Labs Inc and PUC University of Rio de Janeiro created the first accurate 3D model of Brazil’s most famous monument, the Christ the Redeemer statue in Rio de Janeiro. The drone used automated flight plan using GPS and waypoints while at the same time taking thousands of photographs. These photos were then stitched together into an accurate 3D model of the statue using Pix4D software. The specialized software used to stitch the photos together into 3D maps or 3D models is known as Photogrammetry software. You can read about the market leaders in this article on the top photogrammetry software. This next video shows you the massive project under difficult weather conditions to accurately create the 3D model of the Christ the Redeemer statue. 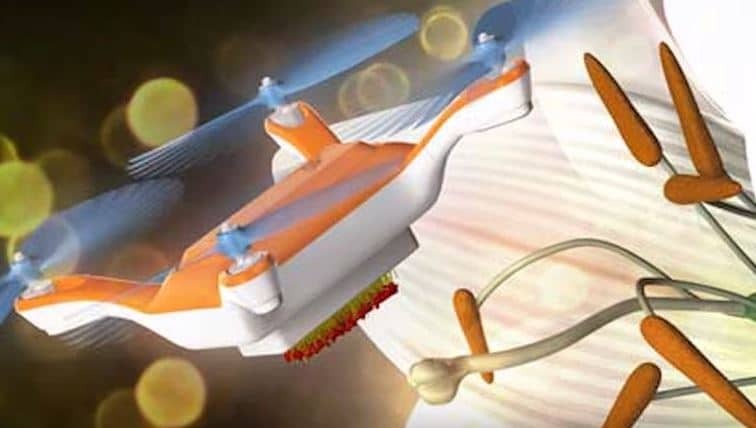 Researchers in Japan have created small insect sized drones which can pollinate plants. This will assist with indoor pollination and assist the real honeybee population. 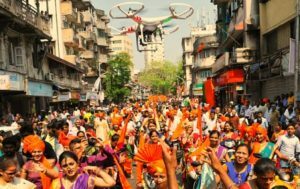 While many people today focus on all the commercial, environmental and conservation uses for drones, it has to be remembered that these drones are also tremendous fun. It’s another item to pack along with the picnic basket and outdoor trip. Drones are easier than ever to fly and have many autonomous flight modes which allow you to concentrate on filming. Many drones come with follow me technology which make adventure filming so very easy. All the top drones have GPS, 4k cameras and have excellent stabilization which allow you to create professional videos and still shots. Drones such as the DJI Mavic and Phantom 4 Pro are just so easy to fly and film with. These come with inbuilt cameras and autonomous flight modes. A number of wedding planners are now using drones for some of the outdoor scenes. It’s an extra memory from the biggest day in many peoples lives. For most drone owners, there is a challenge to capture some beautiful scenery or great adventure. Many of the best drone videos of beautiful scenery have been made by hobby drone pilots who just love been outdoors flying and having fun. This is a new form of art entertainment and there have been a number of drone light show concerts to date. This new form of light show may in fact take over from fireworks displays. Here is a list of the some of the top drone light shows to date. In July 2018, Intel dazzled its audience with a spectacular light show designed to feature 1,500 drones, in an effort to outdo its previous world record of 1,218 Intel Shooting Star drones. The performance displayed multicolored choreography including bright, fireworks-like orbs. A single pilot manned the entire fleet of light emitting remotely controlled drones. Drones with either LiAR or Time-of-Flight sensors can be used to measure stockpiles of material such as stone, gravel, rock, pulp, paper, logs, wood chip, mulch, manure and much more. This is how it works. 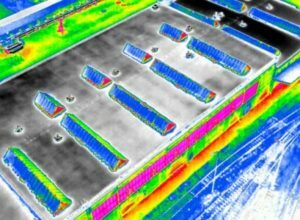 A drone with ToF sensor flies over the stockpile and captures the area in 3D with a single light pulse. The light pulse is measured in picoseconds (extremely fast). This data is automatically uploaded into cloud storage. Next, the data is processed using specialized software and the aggregate of the stockpile can be presented in a couple of minutes, including the perimeter, area and volume of each stockpile. More detailed information of the stockpile is then generated over the next few hours. Stockpile density and cost factors can be entered to calculate stockpile weight and value which is required for stockpile inventory reports. Even odd shaped stockpiles against walls can be measured using Time-of-Flight sensors. Here is an excellent article about Time-of-Flight cameras on drones. It is relatively new technology and has many terrific uses. Without using Time-of-Flight sensors, drones have been used with ordinary cameras by towns to count the wild cat and dog populations to see how big the problem is. Another community used drones to fly over areas which had a big problem with illegal dumping of waste and was able to take action using this data. The DJI Inspire 1 is being used in many SAR operations as it can be fitted with the Flir Thermal Cameras and has options for zoom cameras. In areas affected by Tornadoes, researchers are working with drones to measure the lower atmosphere. They hope to be able to give earlier warning announcements well before the Tornado strikes. Oklahoma Researchers are expecting weather drones to help forecasters predict weather patterns more precisely allowing tornado warnings to be given anywhere from 20 to 60 minutes earlier. Presently, meteorologists use radar, satellites and balloons to check conditions in the upper and middle atmosphere. However, conditions at the lower atmosphere where we live are observed by instruments and people which puts their lives at risk. Drones and it’s sensor data driven technology have a wide range of conservation and environmental protection applications. From glacial feature modeling and erosion monitoring to animal counting and species identification, the list of projects which drones are being used for is long and continues to grow. One of the big names and most popular drones for use in environment and conservation work is the SenseFly eBee. It is a long range drone and can carry multiple sensors such as RGB cameras, Near-infrared (NIR), red-edge (RED), multispectral and also thermal cameras. There are many other drones which can also do this work. If you know your project completely, then you will know the type of drone and sensors which you need for the project. Insurance companies are now using drones to help access damage to buildings from fire, flooding or from heavy winds. Drones may also be used to fly over car and rail accidents to also access the damage and to assist with the claims process.